Bundesliga Legend Lothar Matthäus thinks the USA would have had a better chance of qualifying for the FIFA World Cup in Russia this summer had they not parted ways with Jürgen Klinsmann. 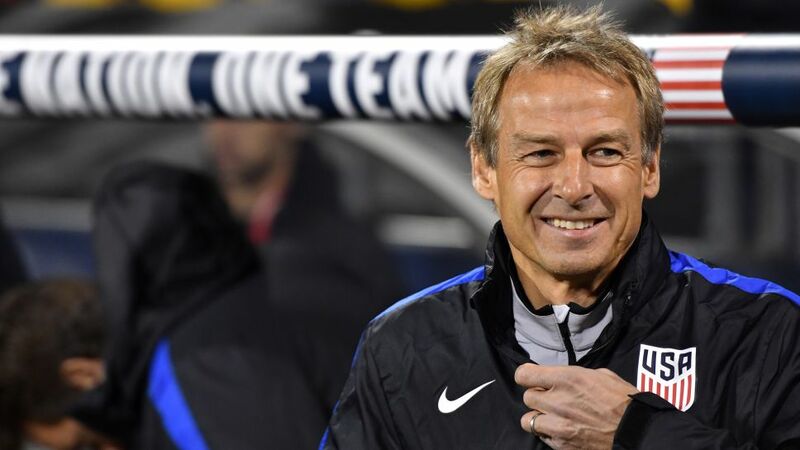 Klinsmann helped revolutionise US soccer after taking charge of the USMNT in 2011, leaning on his homeland for players like Jermaine Jones and John Brooks – players with both German and American nationality – and winning the CONCACAF Gold Cup in 2013. Strong favourites to qualify from their section for this finals this summer, the US endured a difficult campaign, though, and Klinsmann was dismissed in November 2016, to be replaced by Bruce Arena. As players, Klinsmann and Matthäus won the Italia ’90 World Cup with West Germany, as well as numerous trophies together with both Bayern Munich and Inter Milan, but the pair had a surprisingly strained relationship in their football-playing primes. That hasn’t stopped Matthäus leaping to Klinsmann’s defence since, though. Losses to Mexico and Costa Rica in the final World Cup qualification round left the US bottom of their section, but with eight games still to play, Matthäus thinks the Stars and Stripes might have seen an upturn in their fortunes. Borussia Dortmund star Christian Pulisic scored four goals and assisted a further seven in CONCACAF qualifying, and Matthäus thinks it’s a shame that the footballing world will have to wait at least another four years to see the nascent talent on the biggest stage.